Amy & Will got married on a rooftop terrace of one of the villas in Manuel Antonio. 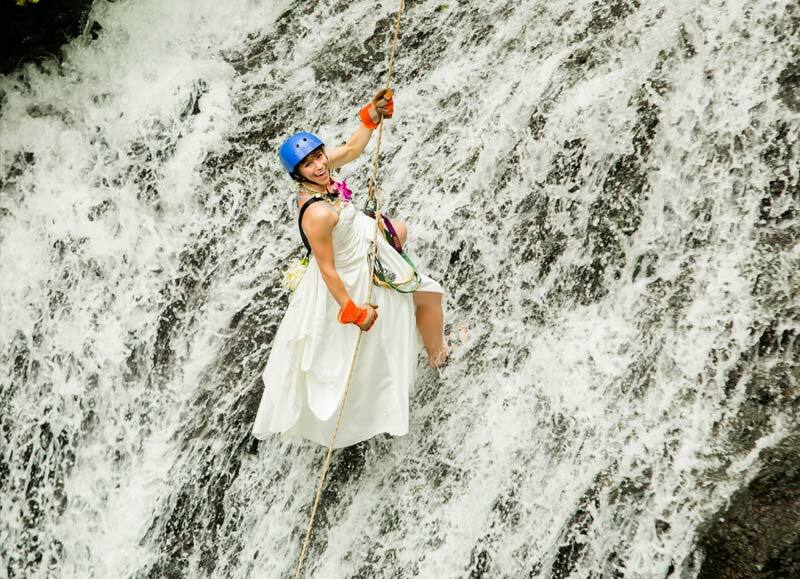 They had morning ceremony and then took entire wedding group to a Waterfall repelling and zip lines tour! They had their reception the same day in the evening. Tired but happy finished their wedding day with a party. It was truly adventures wedding! This entry was posted in Recent Weddings on 26 June, 2017 by coral.